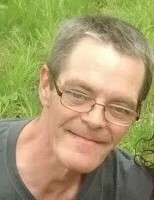 Ronald Dale Deffenbaugh, Jr., 59, Lake Lotawana, passed away Monday February 4, 2019, after succumbing to injuries from a house fire, he was surrounded by his loving family. Ron was born in Kansas City, Missouri on July 29, 1959, and graduated from Wentworth Military Academy in Lexington, Missouri. At the wise, ready and eager age of 5 he began working with his father on a trash pick up route. This began his lifelong career in their family business, Deffenbaugh Industries, Inc. Ron always had an admirable work ethic and he gladly took on many roles within the company. He helped establish the recycling division for paper and cardboard, handled and assisted with environmental hazardous materials and chemical spills clean up at Radium Petroleum and he took pride in being able to take on any challenge and operate every piece of equipment within the company. Their remarkable work ethic and dedication led to building a successful family owned business. He was extremely proud of all of his children and grandchildren and enjoyed spending time with them. Ron lived as if he had no fear and would often show us by example how to turn challenges into possibilities. He enjoyed being outdoors by building, gardening and fishing. Giving up was never an option for Ron and more than anything he has taught us that no matter how many times life knocks you down, you get up, dust yourself off and keep on going. He was loved by many and will be greatly missed especially by his large family. Ron was preceded in death by his father, Ronald D. Deffenbaugh, Sr. and a sister, Christine Deffenbaugh. He is survived by his wife, Sandra Deffenbaugh; children: Ronald Deffenbaugh III, Saundra Deffenbaugh, Christopher Deffenbaugh (Cindy), Jacob Deffenbaugh, Krista Deffenbaugh, Kevin Deffenbaugh (Karina); step-daughter, Kaelah Calderone; his mother, Karen Deffenbaugh, half-brother, Robert Deffenbaugh; two grandchildren: Valencia Deffenbaugh and L.C. Council; sister-in-law, Martha Estrada and brother-in-law’s: Anthony Estrada and Joe Estrada; mother-in-law, Martha Hagelsieb and many nieces, nephews and other relatives. Visitation will be 6-8:00pm Friday Feb 8, 2019 at the Johnson County Funeral Chapel, 11200 Metcalf Ave where the rosary recitation will be at 6:00 pm. Mass of Christian burial will be 1:00 pm Saturday at Cure’ of ArsCatholic Church, 9401 Mission Road. Entombment will be at Johnson County Memorial Gardens.